Product #20842 | SKU SATM25 | 0.0 (no ratings yet) Thanks for your rating! This Samson Tourtek Series XLR Male to XLR Female Mic Cable (25') is designed for musicians and sound engineers who require superior sound quality and demand ultimate reliability. 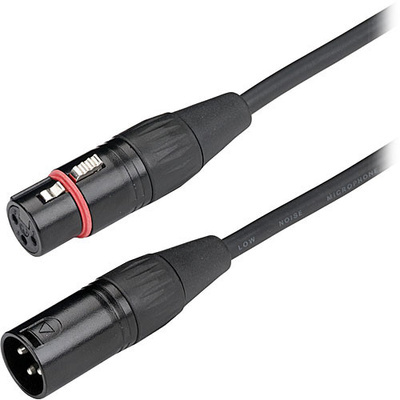 The cable features genuine Neutrik connectors and durable low-capacitance wire, which provides excellent rejection of RFI/EMI interference, extremely low handling noise, and superior sound quality.